Facebook: Works on everything!! Works on all Androids, all boxes, computers, TVs! Item 874a: $19.95Can or $15.35us Brand New. You can use this with anything! SUPER Small! 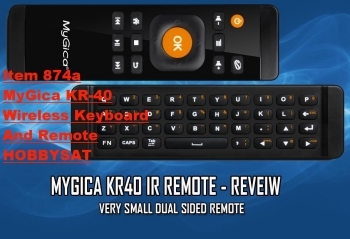 The MyGica KR-40 Wireless Remote and Keyboard is now sweeping the streets and ready to dazzle! 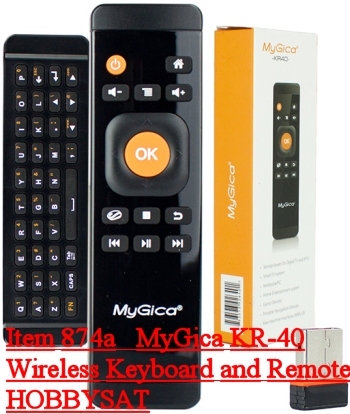 control and turn on/off any MyGica Android box using its IR sensor. * Supports Windows/Mac OS/Android OS. • Size: 35x130x9 mm SMALL! 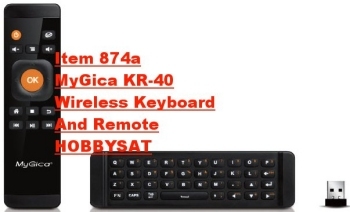 with any media center, very easy for hand and easy to navigate through your boxes." April 11, 2015 Halifax, N.S.